The REF 2021 open access policy (pdf) applies to all journal articles and conference papers accepted for publication from 1 April 2016. During the transitional period of the policy implementation, you need to deposit your paper/s within 3 months from the date of publication. From 1 April 2018 the REF 2021 policy will require deposit of the accepted manuscript within 3 months of acceptance. The full policy and FAQs are currently available at the REF2021 site. 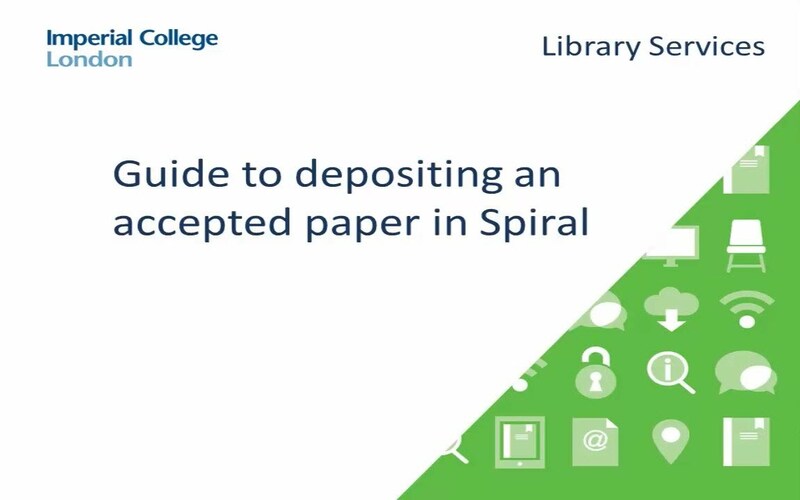 By depositing your accepted manuscript in Spiral now, your final published journal article or conference paper will be eligible for submission to the REF 2021. To do this, you must upload a copy of your accepted manuscript to Symplectic, or ask a proxy to do so. The Library’s open access team will manage all accepted manuscript submissions to ensure you have provided sufficient information, and that the submitted manuscript meets the REF 2021 eligibility requirements. If you have deposited your accepted manuscript in arXiv, you do not need to upload the manuscript to Symplectic. A change to the OA policy was made during summer 2018 where if the ‘accepted for publication’ text, or near final version, is available on a pre-print service, and the output upload date of the pre-print is prior to the date of output publication, this will be considered as compliant with the open access criteria (deposit, discovery, and access)’. We can only advise that arXiv is currently compliant as many other preprint servers do not permit the deposit of the accepted manuscript. Please see the FAQs for more information. Your final journal article or conference paper does not have to be published on ‘gold’ open access, i.e. you do not have to pay an open access fee or APC, to be eligible for the REF 2021. You can read the full Guidance on submissions and FAQs written by HEFCE on their site. Library Services, the Research Office and ICT Research Support Services are all working to support staff to comply with the policy, and more information about the whole REF 2021 process can be found at the College’s REF 2021 pages. To find out more about how the open access policy affects you, please see our FAQs or contact the Library’s open access team. To be eligible for the REF 2021 you must deposit peer-reviewed versions of your journal articles and conference proceedings in a repository at acceptance.